Paint 3D is a paint app by Microsoft Corporation, but now in a new avatar. It now has an updated feel and look, along with several new tools and brushes within its fold. The new interface is a major departure from the previous Paint UI. 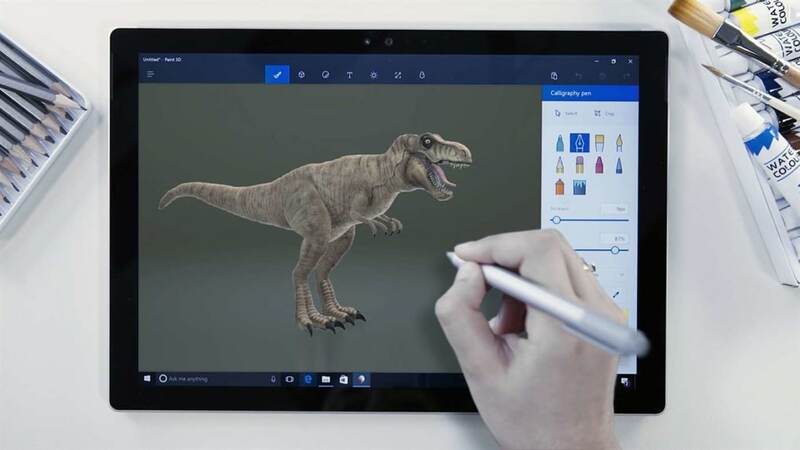 Unlike the previous app, Paint 3D is touch-compatible. That said, there’s still the ability to work with 2D visuals. Though a touchscreen display would complement the app better, you can still use the app effectively on a non-touch display. There are multiple controls to spin, resize and tilt your image. You could also download stickers. When a sticker is applied to a 3D image, it wraps the object seamlessly. There are quite a few other customisation tools available too such as pen, pencil, marker and crayon. With Paint 3D, Microsoft wants 3D modelling to be used by all. And to do that, it is leveraging Microsoft Paint’s popularity and accessibility. As a result, the Paint app is getting an updated look. 3D design sounds complex and the general public has traditionally stayed away fearing that complexity. Microsoft, through Paint 3D, wants people to understand that 3D modelling is not that scary after all. To create 3D images, you could begin from scratch incorporating primitives such as boxes and spheres. You can also make use of starter kits, community projects, contributed images, etc. to get your project rolling. What do you think about Paint 3D? Do you recommend it? Why?